Introducing the first in a new series of decal sheets from AIMs decals - the first of John's new sheets has now been received and is entitled "monotone Me's". Featuring eleven Messerschmitts in overall single colour 'camo' finishes these sheets have been compiled with the assistance of the 'Luftwaffe blog'. 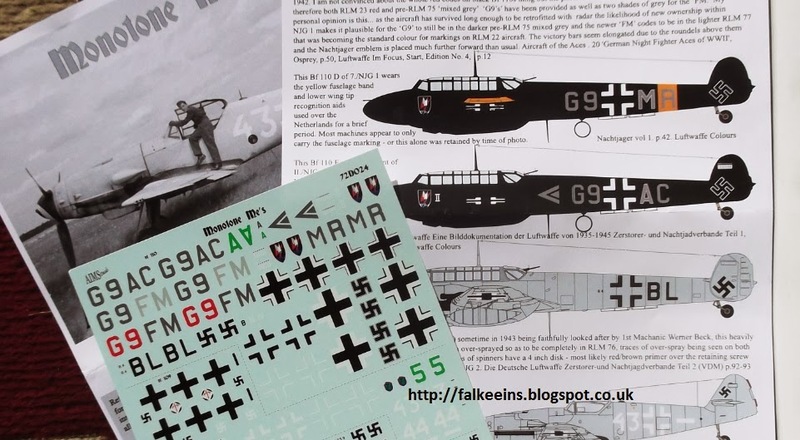 Subjects include NJG Bf 110s, the Bf 109 G-10s of NJG 11 as depicted on this blog, Bf 109s of JG 1, Me 262s and two subjects for the Me 163. As usual with John's sheets you get some nice profile artworks and plenty of reference notes and colour information in a readable text. This first sheet in available in three scales and so we heartily recommend you head over to John's site for more info and to place your order! Below; a nice print from my collection (via J-Y Lorant) of Bf 109 G-6/AS 'Green 5' of I./EJG 2, the Ergänzungsnachtjagdstaffel (night fighter replacement training unit), in overall gloss back finish as featured on John McIllmurray's new decal sheet "Monotone Me's". Established in March 1944 at Ludwigslust under Staffelkapitän Hptm. 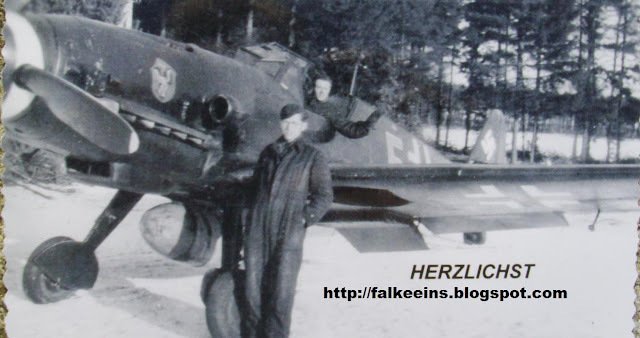 Heinrich Spitzer, this unit was augmented to two Staffeln in July 1944 and trained pilots for single-seat night fighters. 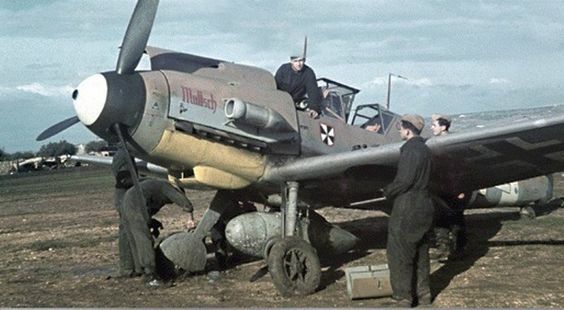 Note the owl unit emblem on the engine cowl and, unusually for a Luftwaffe fighter, the painted propeller tips. Click on the image for a quality screen-size view.